Edited on 4 January 2014 to add addresses and some better pictures. When I found out that I would be in Rome for 13 days I decided that I wanted to do some "special" things. I looked on Viator for tours and found their Rome Food Walking Tour and, after I saw this Youtube video of the tour, I immediately signed Ron and I up for the tour. And let me tell you, we enjoyed it so much, we have decided to take the same tour again (if we can get the same guide) when we go back in April. Our tour started at 1030 and ended at around 1500. 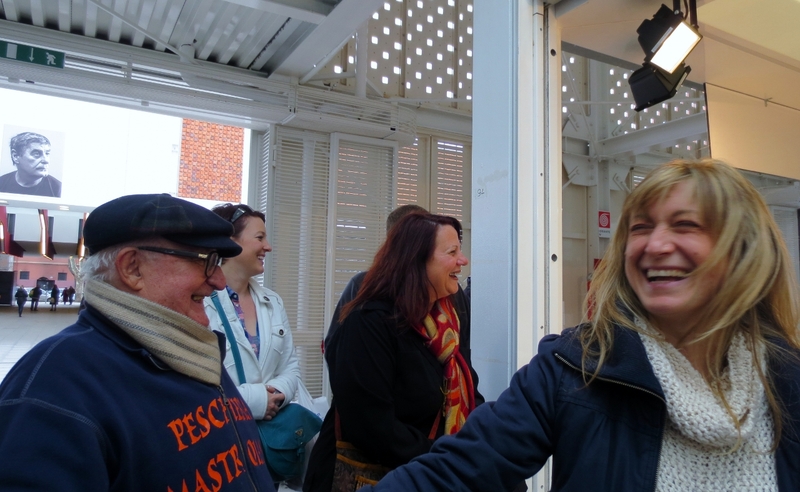 Here is our amazing tour guide Sarah Rose. 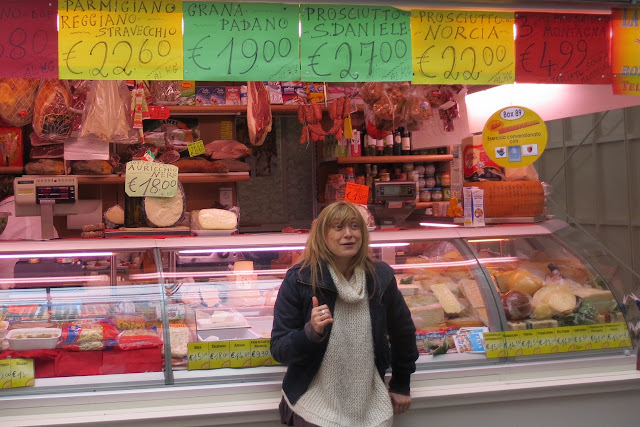 She came to Italy from Michigan for college 10 years ago and fell in love with Italy and is still here. 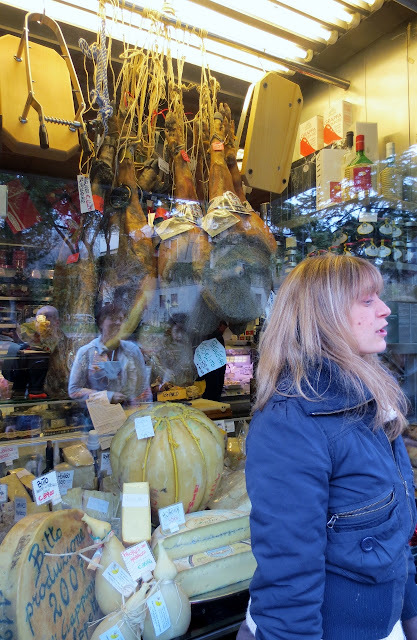 We met her in the Testaccio neighborhood which is considered the birthplace of Roman cuisine. 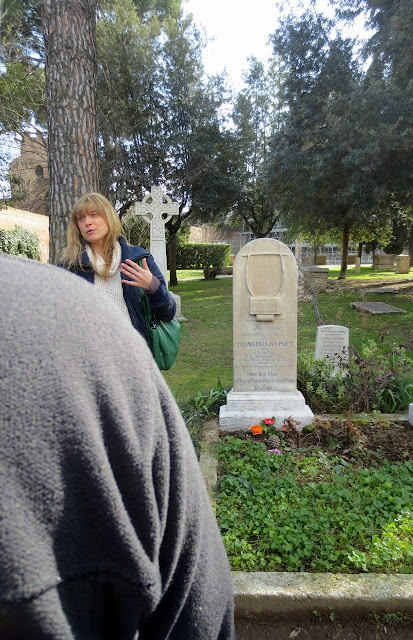 This was not just a tour about food, it was a tour about the history of this traditional working-class area of Rome. 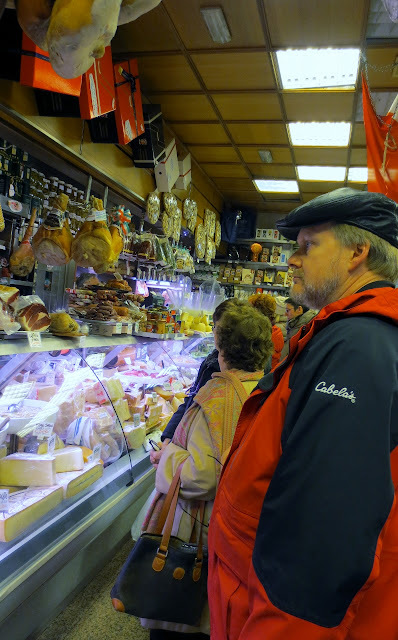 It is a bit off the beaten tourist track and we would have never found our way here if not for this tour. And that would have been a real shame. 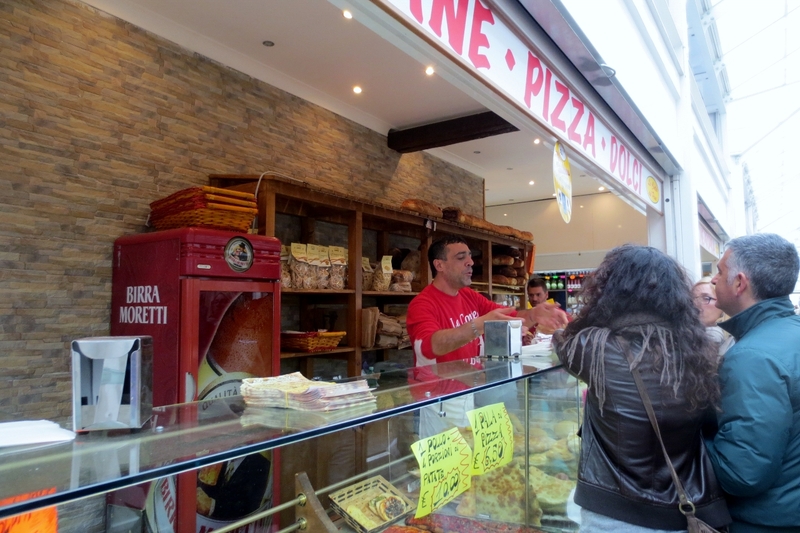 Our first stop is Barberini's. 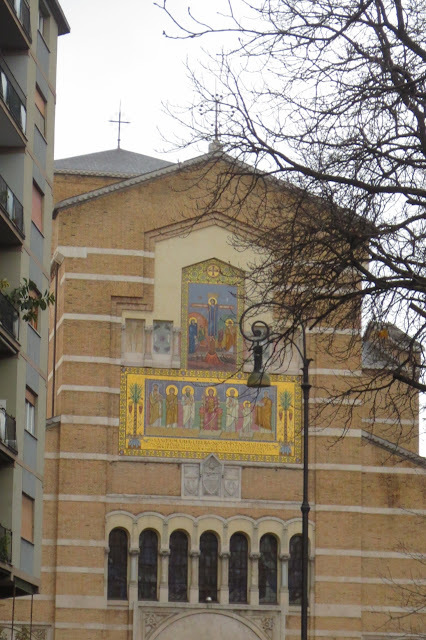 It is located on Via Marmorata. 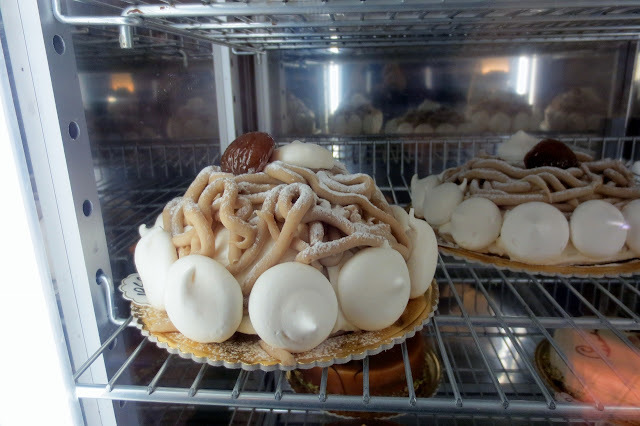 This is a former 1940s latteria (dairy bar) that became a pastry shop. 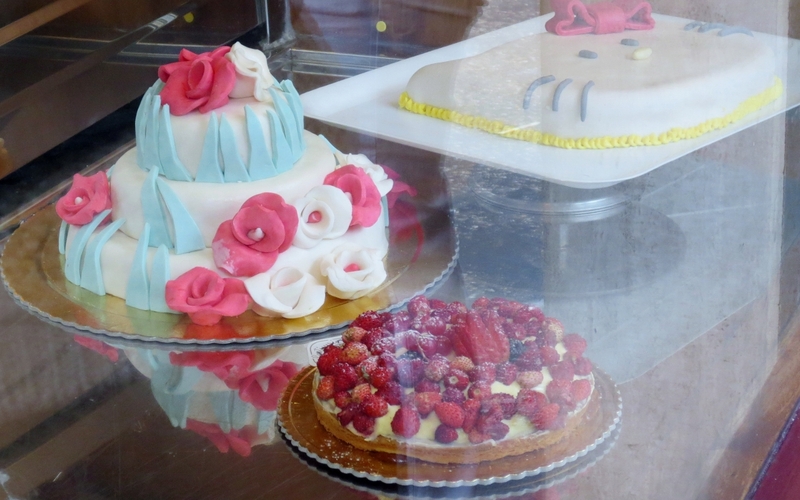 They bake their pastries fresh throughout the day and it was wonderful! I think I want one of everything! The first thing we learned was that the typical Italian breakfast is cornetti and cappuccino. 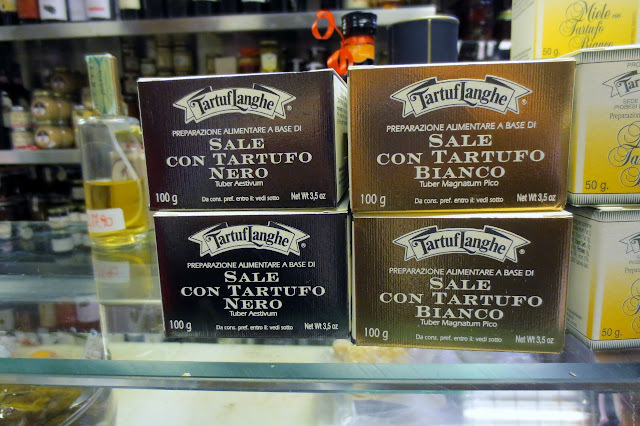 Italians will order this and then stand at the bar, dipping their cornetti into their cappuccino. These are amazing! And, on this tour, we learned what their secret ingredient is! While everyone is eating, I continue to drool over the rest of their items. YUM! I wonder if I can take any of them home in our suitcase when we come here in April? Next up is tiramisu which literally means “pick me up”. Considering that it is made with espresso, that should not come as a surprise. This tiramisu is different though than what we've tried before. 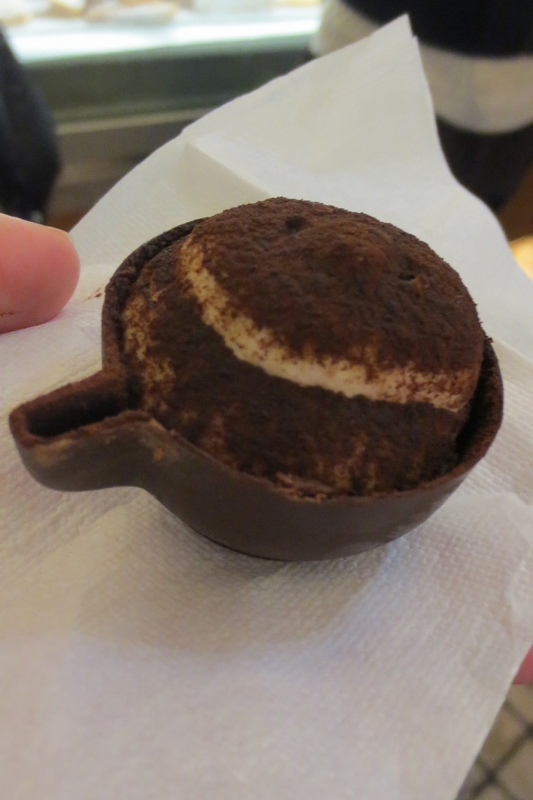 It is served in a chocolate cup. It was soooooo good! Next up is Volpetti Piu. 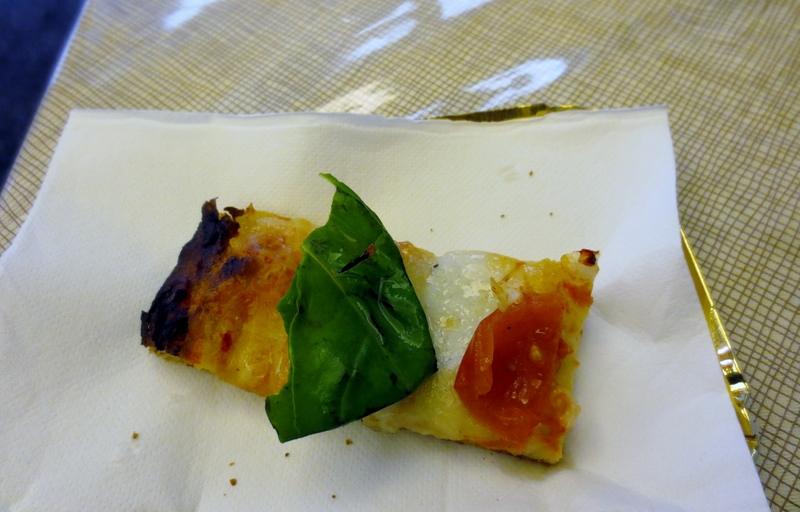 On our food tour we learned that in Rome the wood fire pizza ovens are not allowed to be in use before 7:00 p.m. So, what do you do if you want pizza for lunch? You go here. We all tried the pizza with Mozzarella di Bufalo, tomatoes and fresh basil. Such very simple favors yet such an amazing combination of tastes in my mouth. Wonderful! And here I am, giving it a thumbs up! 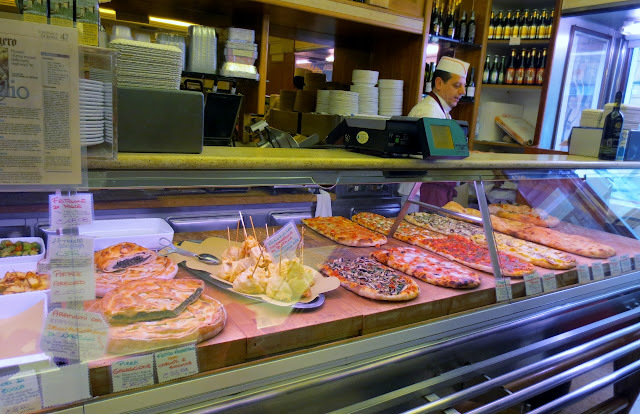 When you go here, you show them using your hands, how big of a slice of pizza you want and then you pay by the weight. Next up, right around the corner is Gastronomia E. Volpetti. If I remember right the owners are cousins to the Volpetti Piu owners. 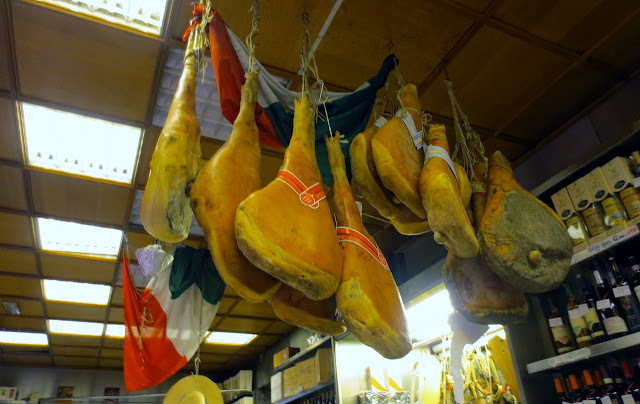 The Volpetti brothers set up shop here in 1973, offering a huge variety of Italian products from the best balsamic vinegar in the world to the most amazing cheeses to the finest cuts of prosciutto. This store was one of the very first places in Rome that decided to give out samples of their products to their customers to try. It's a very small store, so we started our tour outside. 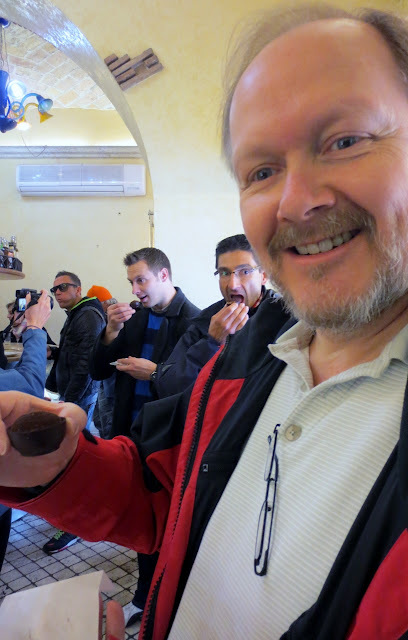 They brought out samples for us to try, and if you you are a vegetarian, and let the tour company know in advance, you will get your own samples of things that include figs, olives and cheese. 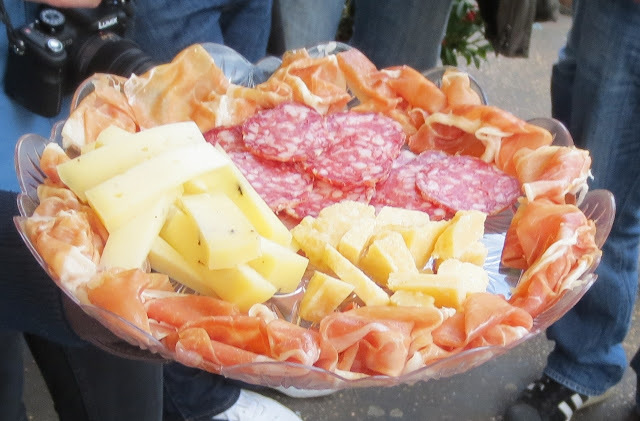 This platter included sausage made from the legendary Cinta Senese pig, Parmigiano-Reggiano, Prosciutto San Daniele ... and I'm not sure what else. Check out the wide variety in prices of the prosciutto! Inside, the shop is small. And there were quite a few people. Because we had to keep going, we didn't have a lot of time to shop and Ron and I don't like to be rushed. We asked Sarah if she received commission on what people from the tour group bought because we wanted to buy things but we didn't want to do it today. 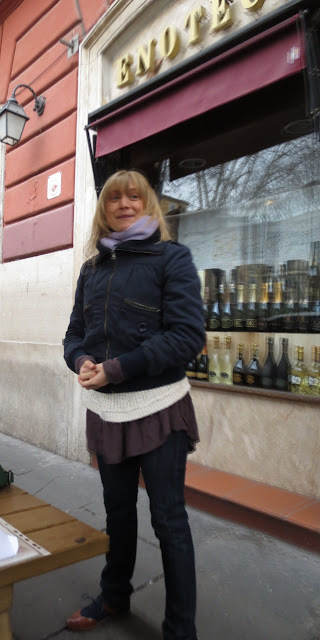 She assured us that she gets no commission from anything sold so feel free to shop later if we preferred. We did come back, and I think we spent over an hour trying different products and ended up buying quite a bit! Lucky for us, we live in Norway so we didn't have to worry about what we could take back to the US. 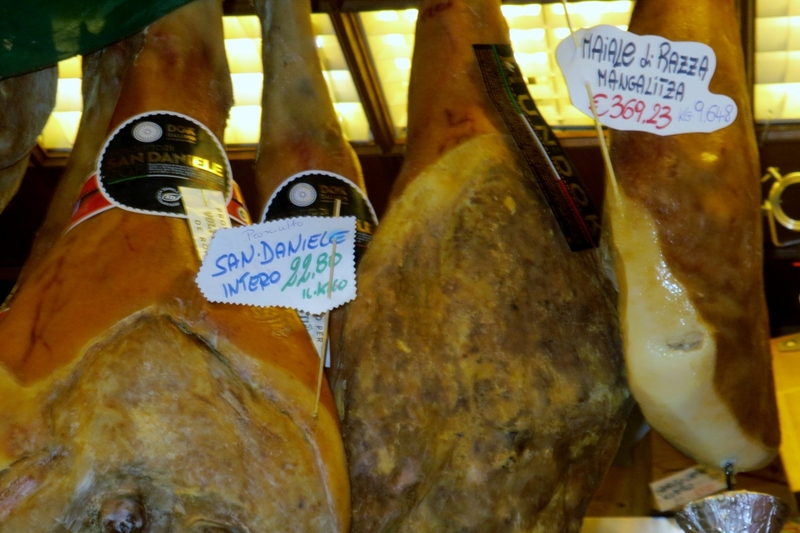 They were wonderful and vacuumed packed the meats and cheeses. 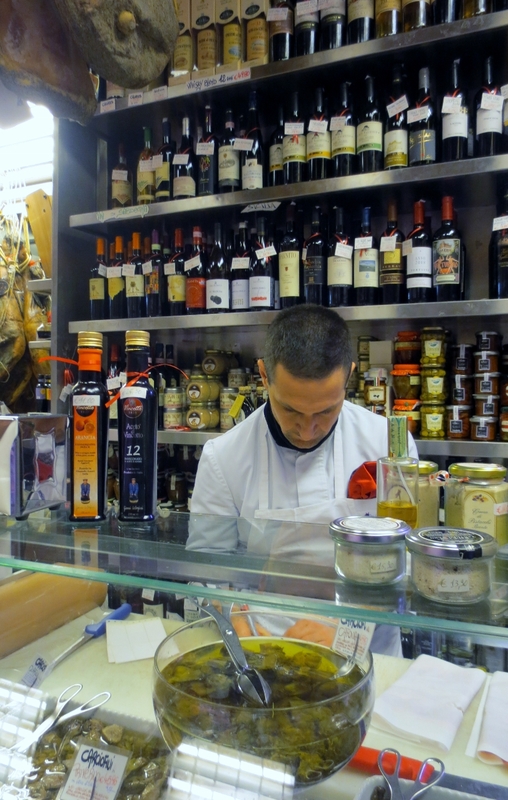 The balsamic vinegars are out of this world. 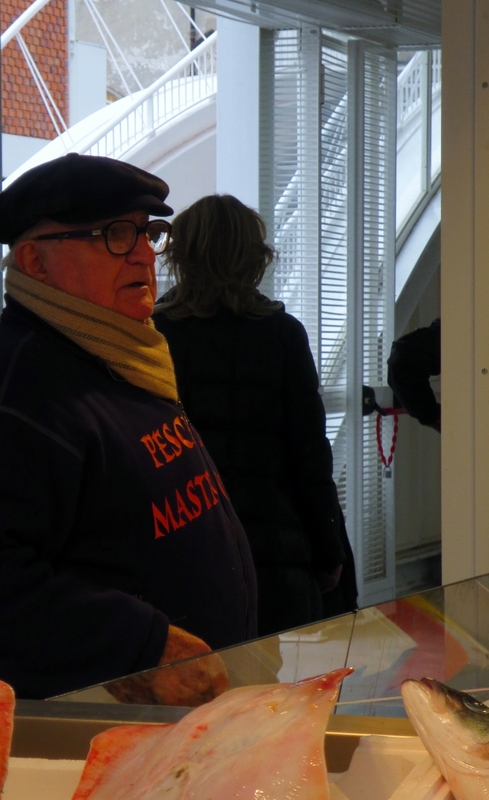 This is the gentleman that helped us when we came back. 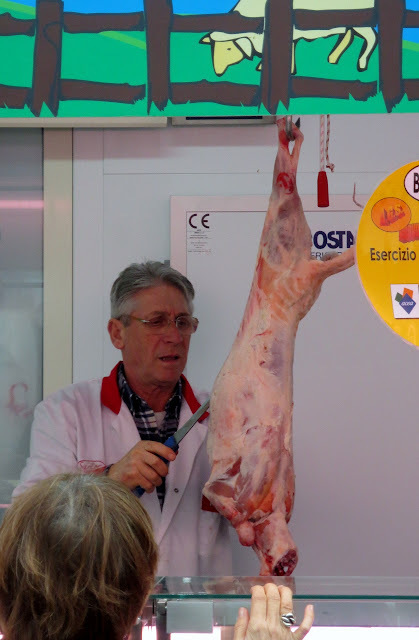 Tel: +39 06 5742352 Fax: +39 06 57301439 Their website is here: Volpetti and if you want to reach them by email: info@volpetti.com. This is not only a tour about food, we learned some interesting history along the way. Next stop was Campo Cestio. 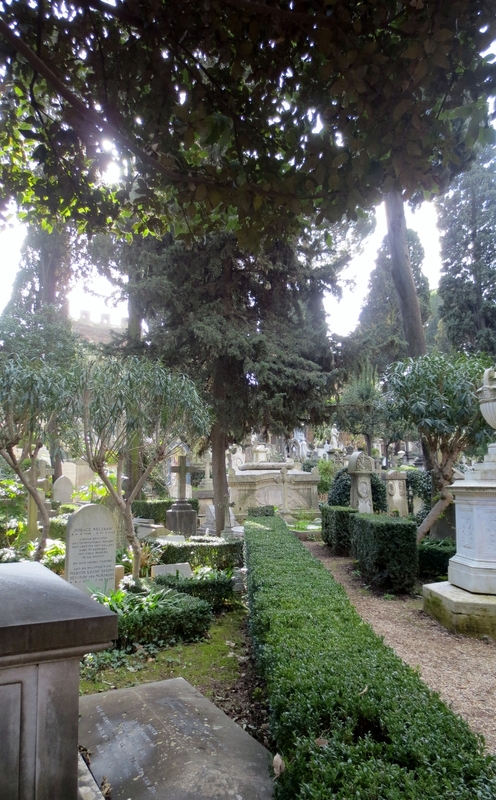 Previously, it was known as the Protestant Cemetery but it is now officially called the Cimitero acattolico (Non-Catholic Cemetery) and is often referred to as the Cimitero degli Inglesi (Englishmen's Cemetery). Such a peaceful spot, right in the middle of Rome with several famous people buried here. 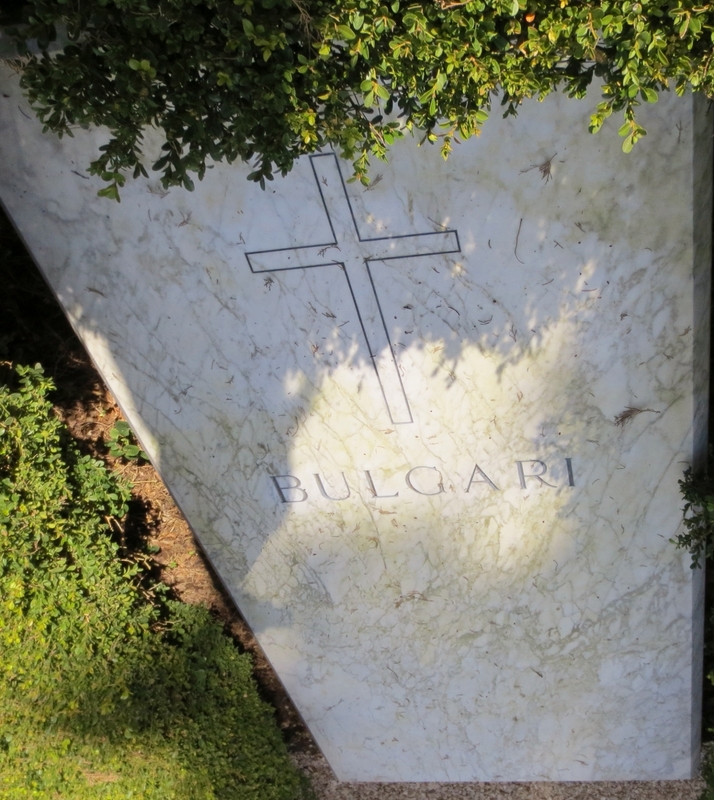 And here is the Bulgari plot. When the sun shines just right, the shadows of the double crosses fall directly on the stone below that is an empty place holder for the Bulgari family. Within view of the cemetery is the Pyramid of Cestius, a small-scale Egyptian-style pyramid built in 30 BC as a tomb. 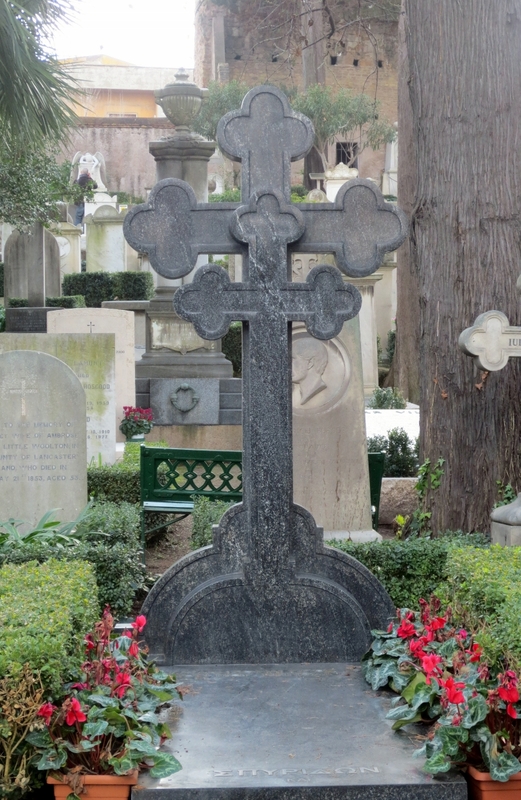 Unfortunately the client died before it was completed - and before he finished paying for it - so he's not buried there. 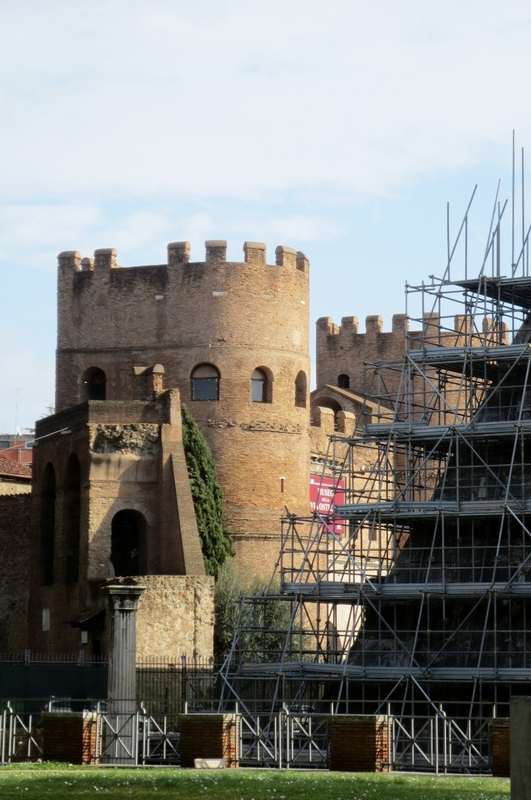 (I can only assume that the scaffolding in the photos is for renovation, not because the construction is ongoing!) It was later incorporated into the section of the Aurelian Walls. The Walls (in case you are wondering) are a line of city walls built between 271 AD and 275 AD during the reign of the Roman Emperors Aurelian and Probus. The walls enclosed all the seven hills of Rome plus the Campus Martius and, on the right bank of the Tiber, the Trastevere district. 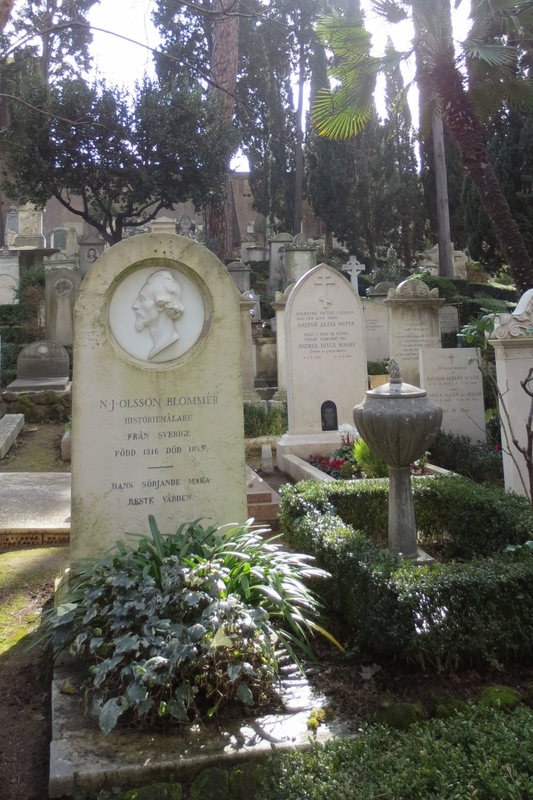 One of the most famous graves here is the grave for the English poet John Keats. 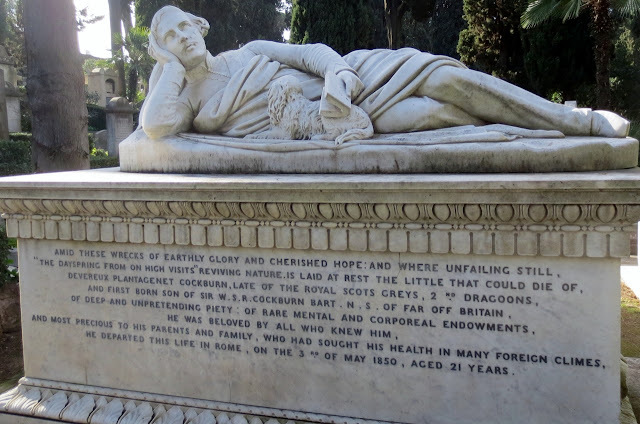 Keats died in Rome of tuberculosis at the age of 25. His epitaph says "This grave contains all that was mortal, of a YOUNG ENGLISH POET, Who on his Death Bed, in the Bitterness of his Heart, at the Malicious Power of his Enemies, Desired these Words to be engraven on his Tomb Stone: Here lies One Whose Name was writ in Water." As you may have noticed, his name is not on his tombstone. Buried next to him is his friend Joseph Severn. To be perfectly honest, I found it a bit sad that Severn is buried next to his friend and not with either of his wives. He had 8 children between them and one of them is buried behind him. 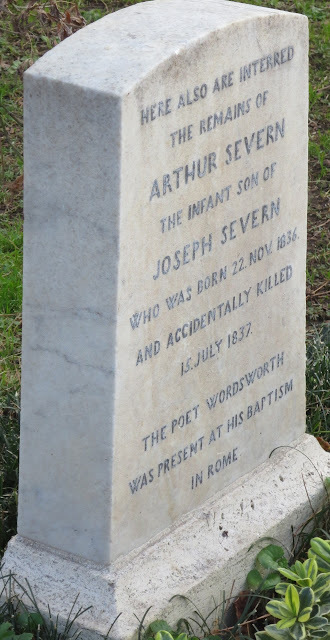 I also find it sad that the baby's tombstone says absolutely nothing about his mother. 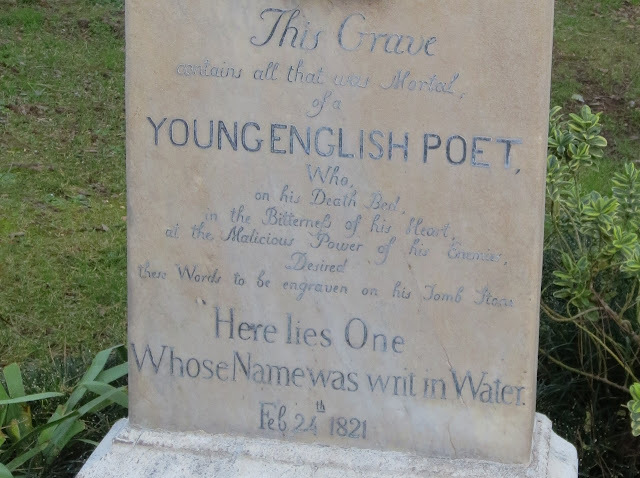 But his father and the "Poet Wordsworth" who was present at his baptism are listed. Can you say "name droppers"? 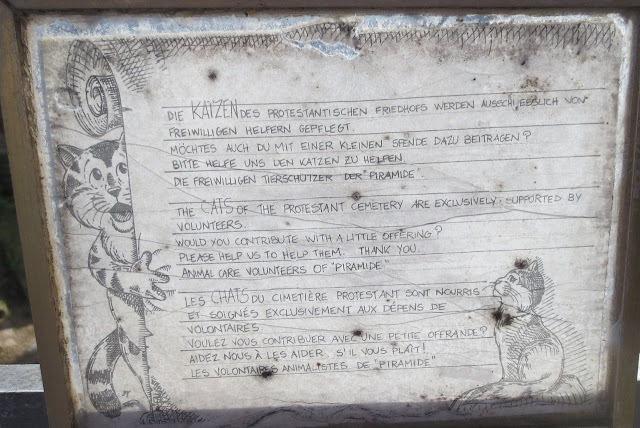 Since 1850, there has been a presence of cats at the cemetery. 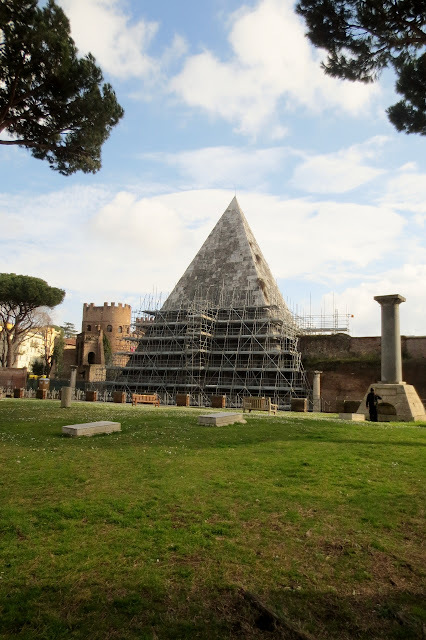 You can find out some of the history of the cats at the I Gatti Della Piramide website. 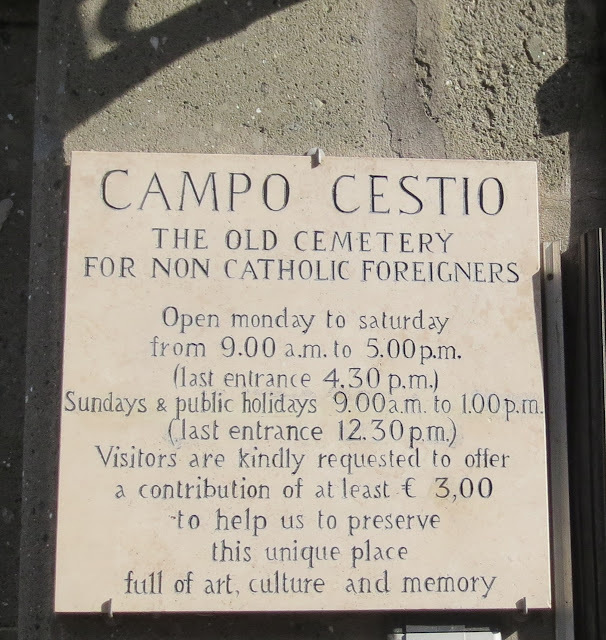 OK, enough about cemeteries. 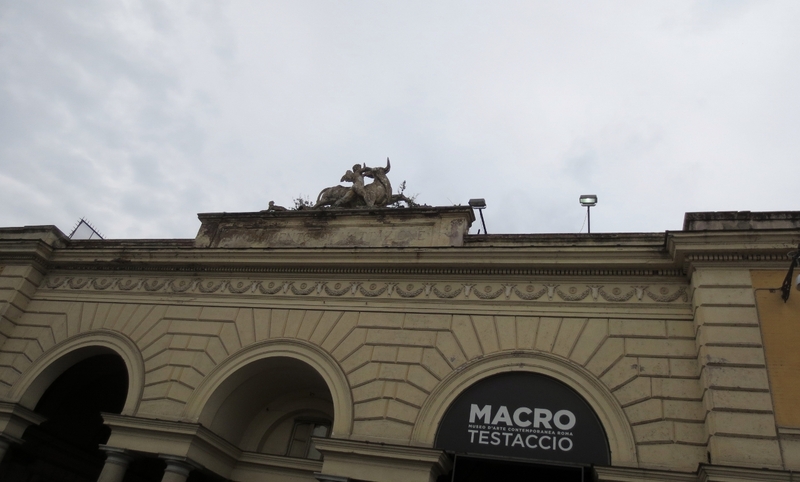 On to the Testaccio market. You can find it at the corner of these two streets. Yes, that is the chicken's head, still attached! But there are lots of 'regular' things too! I wish I could remember more about this gentleman. He is adorable! 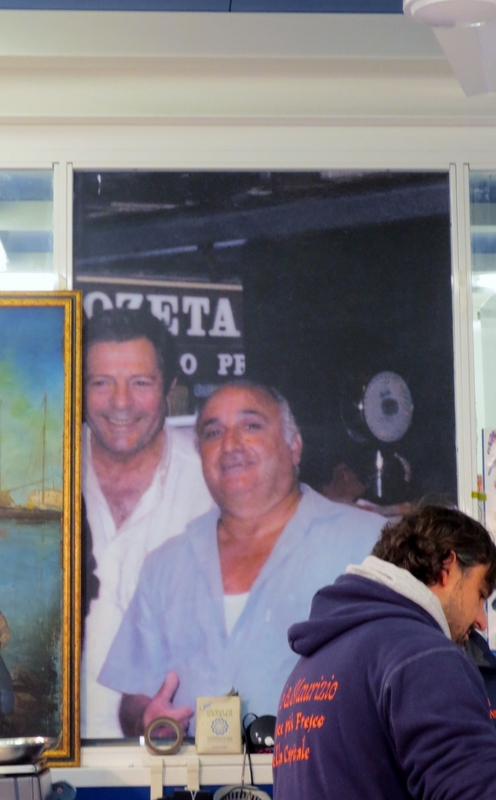 While we were at the seafood stand, I looked across and saw this. Can't get much fresher than that! He is in love with Sarah Rose ... and really, who could blame him? She's adorable! 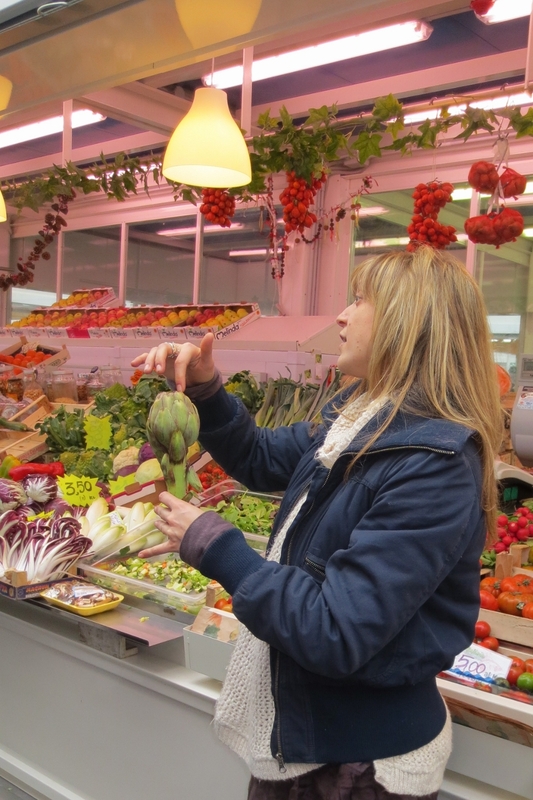 On to the next stand, fresh fruits and vegetables. This is a Roman Zucchini. 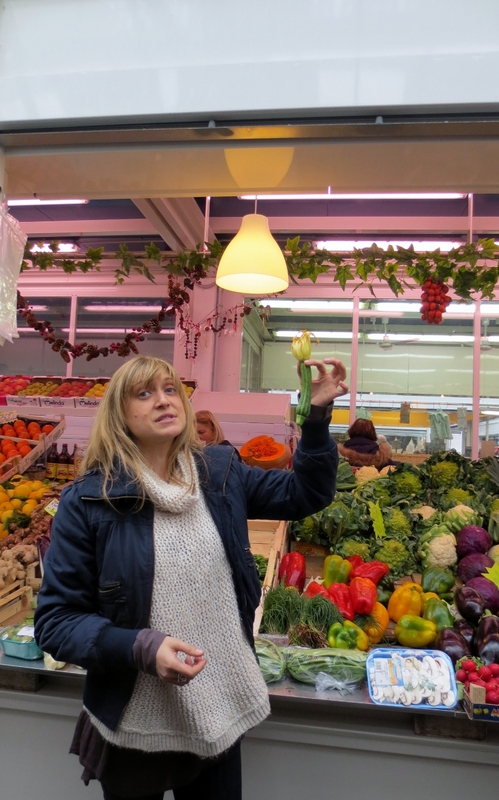 It is smaller than a regular zucchini and here they deep fry the flowers, usually stuffed with cheese. 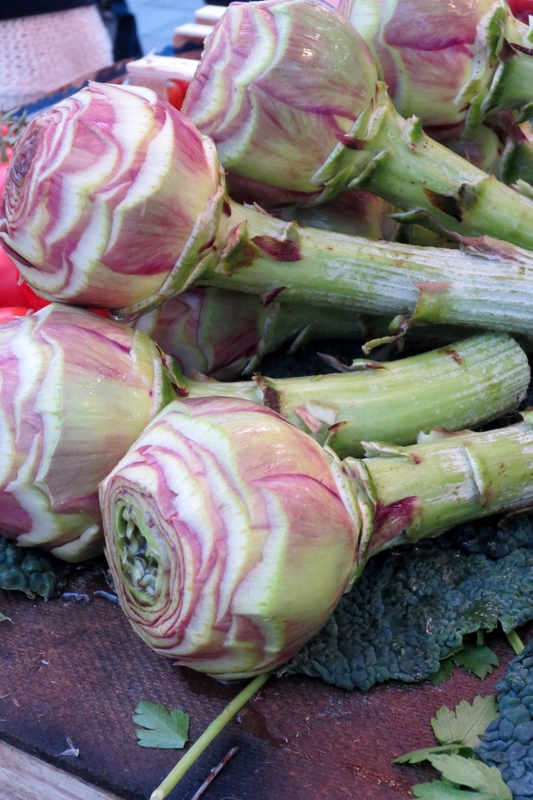 And artichokes are a big thing here too! They look just like a flower! 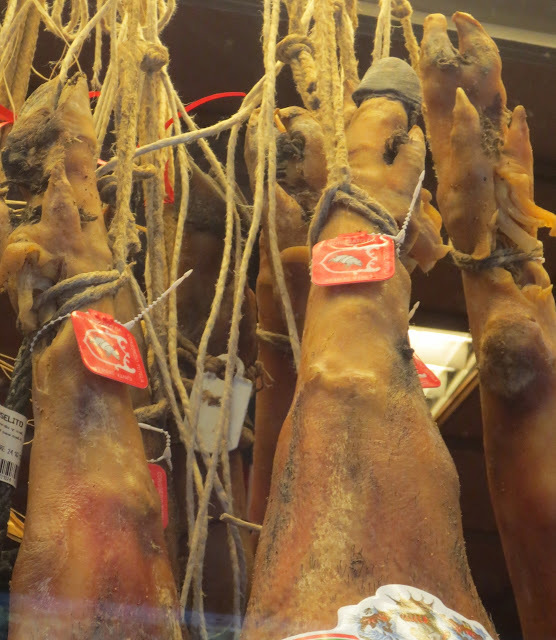 These have been cleaned by the vendor and are ready to be cooked. When we left that stand Sarah Rose had a big bowl of tomatoes and carried them over here .... and they made fresh bruschetta. I really meant to take a picture of it, but as soon as I saw it, I scarfed it down. 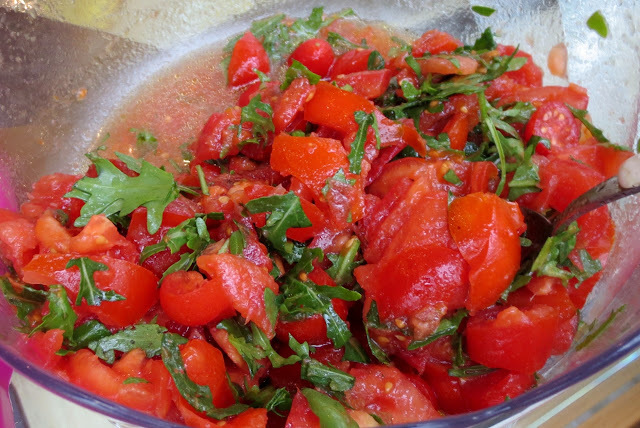 I did learn though that it is best when it is made with 3 different kinds of tomatoes. Includes arugula, basil, olive oil. If there is not enough moisture, take a tomato in your hand and squeeze. It was sooooo good! 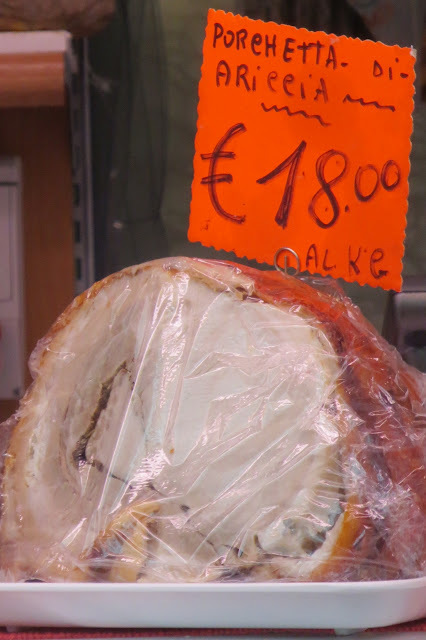 We did not buy any here, but we discovered that we have a deep and abiding love for Porchetta. Leftover tomatoes moved on with us to the next stall, where they added Mozzarella di bufala. 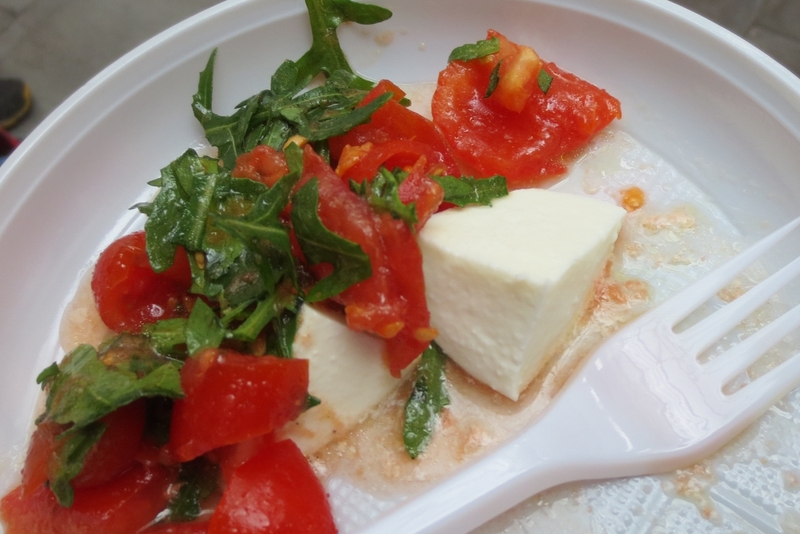 This is where we got the mozzarella di bufala from. Oh my, oh my, oh my. 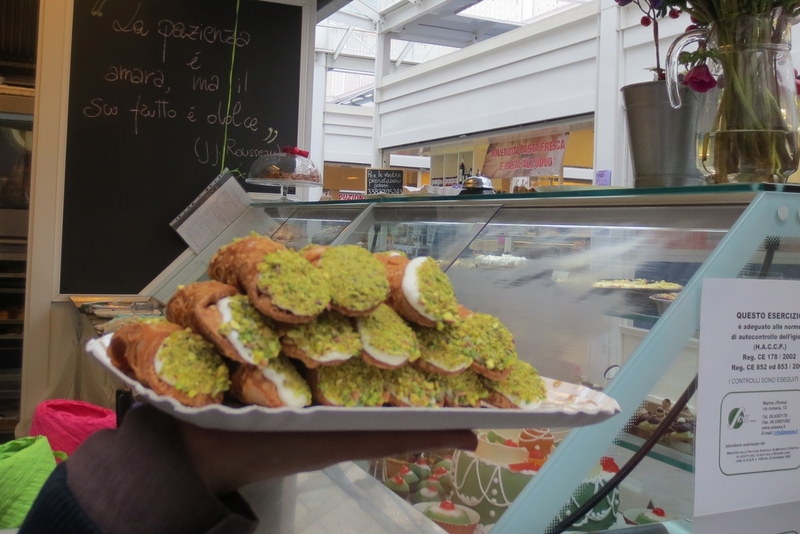 When we were in Palermo, Sicily we had the absolute very best cannoli we ever had in our lives. We've never found them that good anywhere else until we came here. 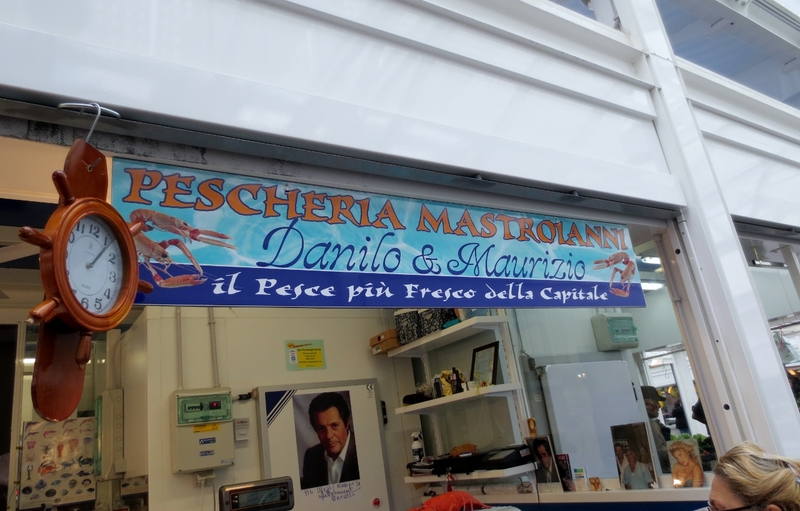 And we were not even a bit surprised to find out that the family that runs this stand is from Palermo, and they knew exactly the place that we had eaten what we thought as the best cannoli in Palermo. Oh happy day - these were fantastic, and the ladies running the stand were wonderful! 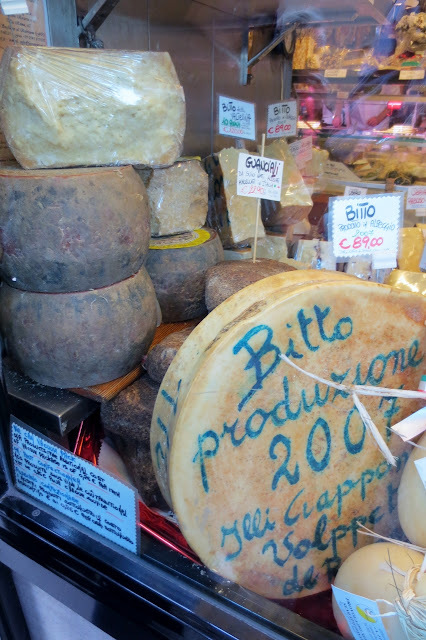 These were SO yummy that Ron actually went out of his way on our last day in Rome to get to the market before they closed at 2 to bring a bunch of them back to the room for us to eat for "lunch" ;-) . If I remember correctly, the sign below means "Patience is bitter but it's fruit is sweet" or something like that. Next stop was the old slaughterhouse where we learned about life as a butcher back in "the day". 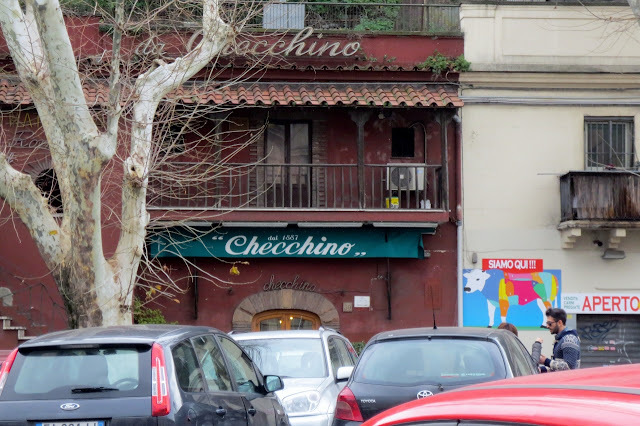 I really should have paid closer attention to the story so I could repeat it for you, but Sarah Rose had mentioned just before we got here that the next stop was lunch with several different kinds of pasta and my mind kept wandering to that. Sorry! Since we plan to come back in April, I will try to take notes and let you know what she said. This place however got my attention. During the 1800s, a tavern was here, selling drinks to the butchers that worked in the slaughterhouses. In 1887, the ancestors of the restaurant's present owners began serving food that was made with the left over parts (or Fifth Quarter) of the beef that the workers at the slaughterhouse were allowed to take home for free. What do I mean? Well, innards and such. You know .... small intestines, stomachs, tails and such. 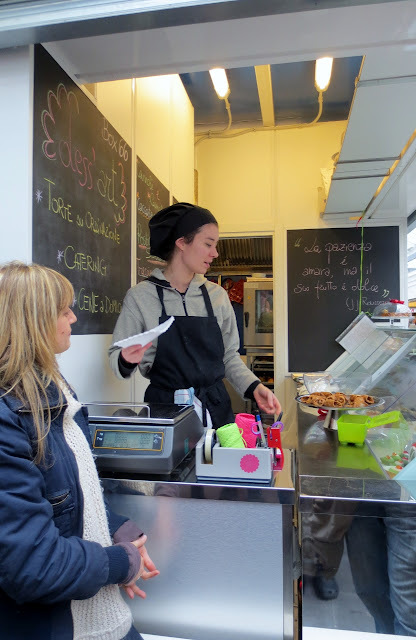 Today, you can come here and eat some of the same dishes that they did. 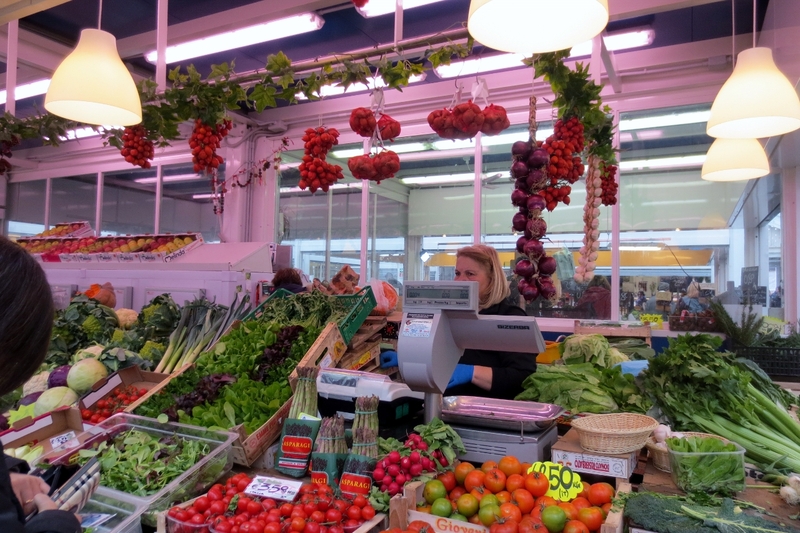 Such as rigatoni con pajata (pasta with small intestines), codo alla vaccinara (oxtail stew), fagioli e cotiche (beans with intestinal fat), and other examples of la cucina povera (food of the poor). Yeah, I think I'll pass. But in case you're thinking you can just pop in, you should know that the place is now elegant (wear a jacket). And it's supposedly has one of the best wine lists in the city. Look at the hill. Looks like a typical hill huh? Nope! 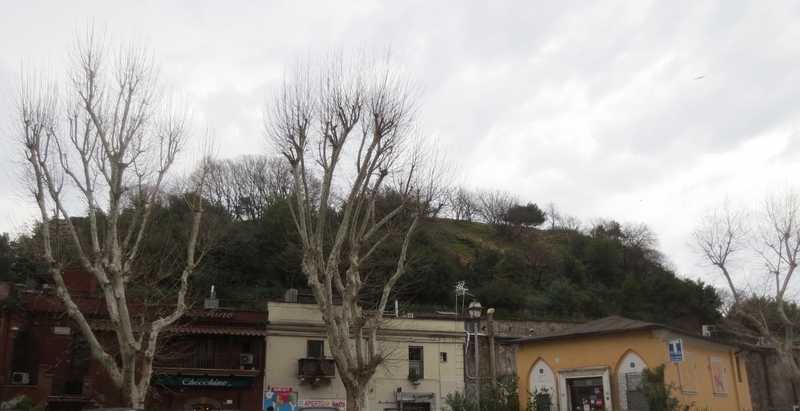 The Testaccio hill is actually a ten-acre man-made hill, made from millions of ancient terracotta jugs (in particular jugs that held olive oil) that were broken up and discarded from ancient merchant ships. So, it's just a dump heap filled with first and second century broken pottery. How cool is that? I'm so excited - it's now time for lunch. Even though I'm not really hungry. 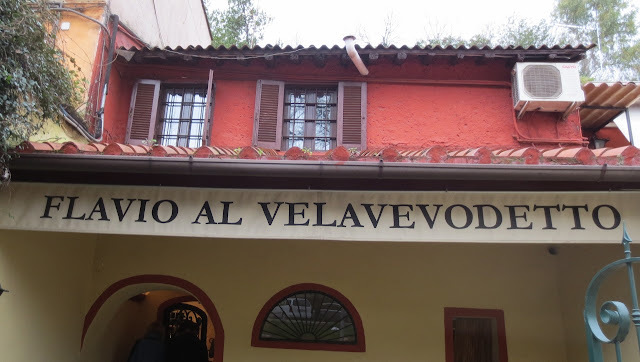 Lunch is at Flavio Al Velavevodetta. 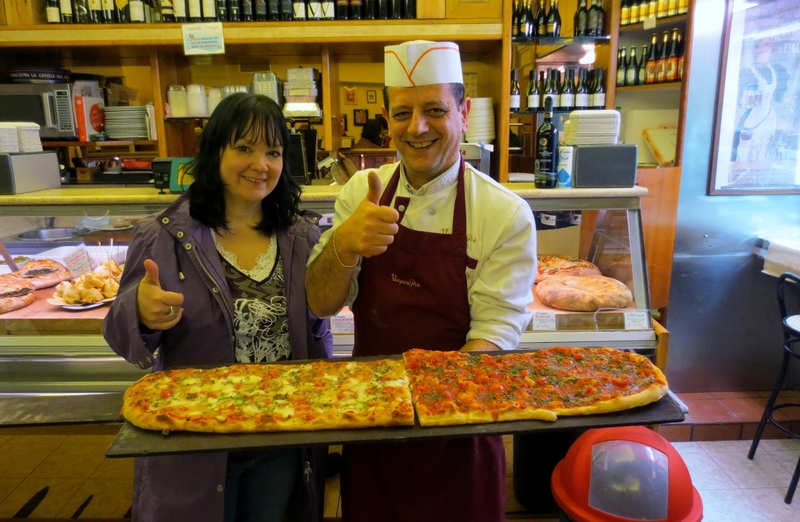 Their address is Via di Monte Testaccio 97/99, 00153 Rome, Italy (Testaccio)and their phone number is 065744194. They recommend reservations for dinner! 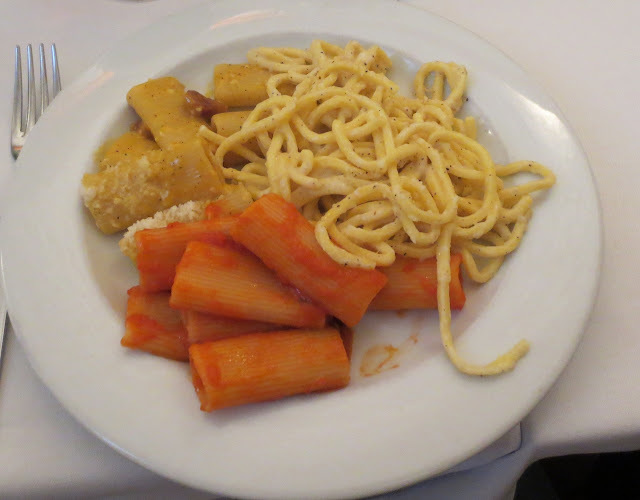 And here we were treated to three of Rome’s most classic pasta dishes (clockwise, from top right): Tonnarelli Cacio e Pepe (fresh egg based tonarelli pasta with pecorino cheese and black pepper); Rigatoni all Amatriciana (dried durum wheat rigatoni pasta with smoked pancetta, red chili pepper, tomatoes, and pecorino cheese); and Rigatoni alla Carbonara (dried durum wheat rigatoni pasta with pancetta, eggs, pecorino and black pepper). [By the way, we were told that this was the #2 place to go in Rome for carbonara and it was so delicious that I decided I just HAD to go to the #1 place. We did ... and I would put this place as #1!] There were huge bowls of pasta and bottles of red and white wine and water and you could eat and drink to your heart's content. And I ended up having seconds of the carbonara. After all the wonderful pasta, I hardly had any room left over for gelato ... but I managed. On the way, we walked by this pretty church. What is gelato? Gelato is the Italian equivalent of ice cream. But so much better!!! Ice cream is made from cream and milk. Gelato is made from milk. This makes it much healthier for you! 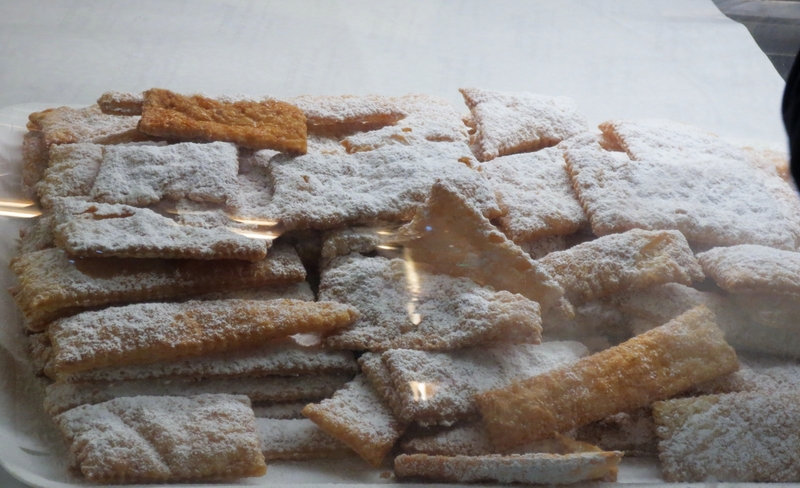 They say that it was invented by the ancient Romans who used fresh snow from the mountains and added fruit. Can you say snowcone? But this is not how it is made today. The gelato we eat today was created in Florence for the Medici family. But as things go, a Sicilian fisherman named Francesco Procopio dei Coltelli, decided he could do it better and he mechanized the process with his own gelato maker. 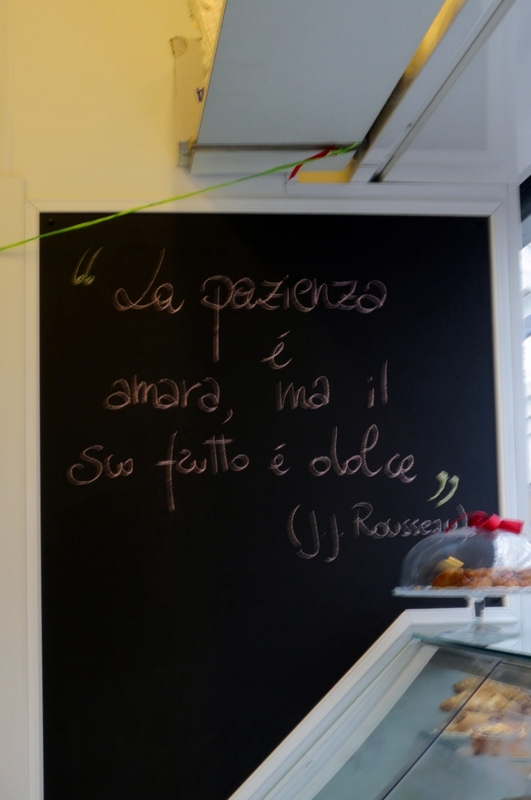 In Rome the real challenge is finding a gelateria which uses natural fresh ingredients and not a mix. Our gelato stop was at Giolitti (their address is Via A. Vespucci 35), which seems exactly as I imagine it was back in 1914 when it opened. 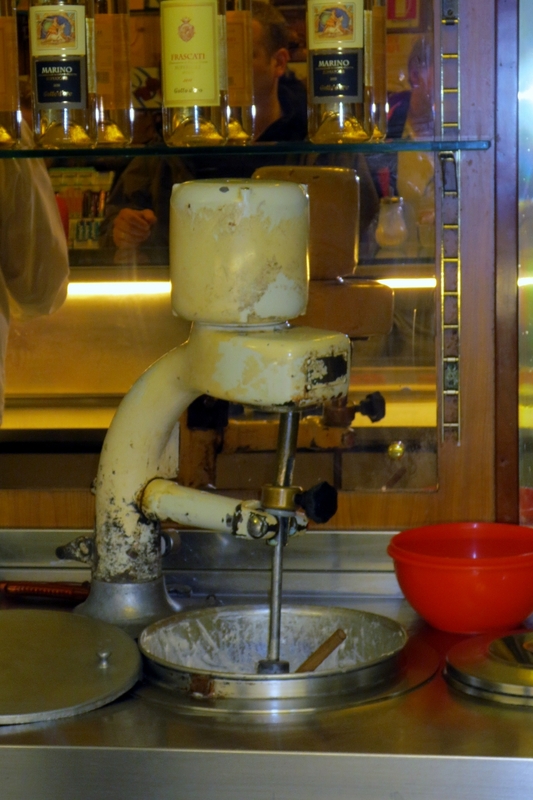 They even have the original mixer that they used to make fresh whipped cream to put on top of your gelato. No spray whipped cream out of a can here! 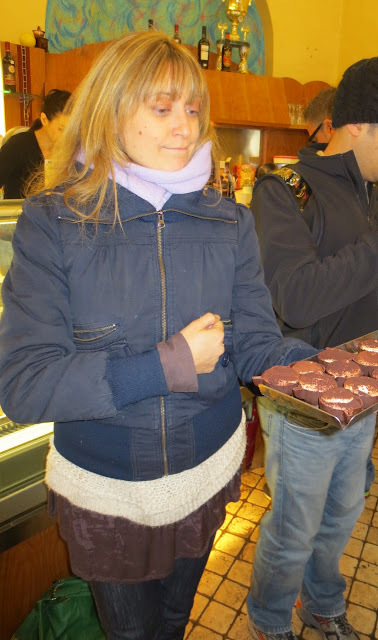 And on the tour, Sarah Rose gave us some great pointers for deciding if it is real or fake (from a mix) gelato. One of the things she asked was "What color is a banana?" Everyone thinks yellow right? WRONG, the peel is yellow but the banana itself is white. So, if you see banana gelato and it's yellow, it's fake. What about mint? The essence of mint is white. So, when you see green mint chocolate chip gelato it's fake! 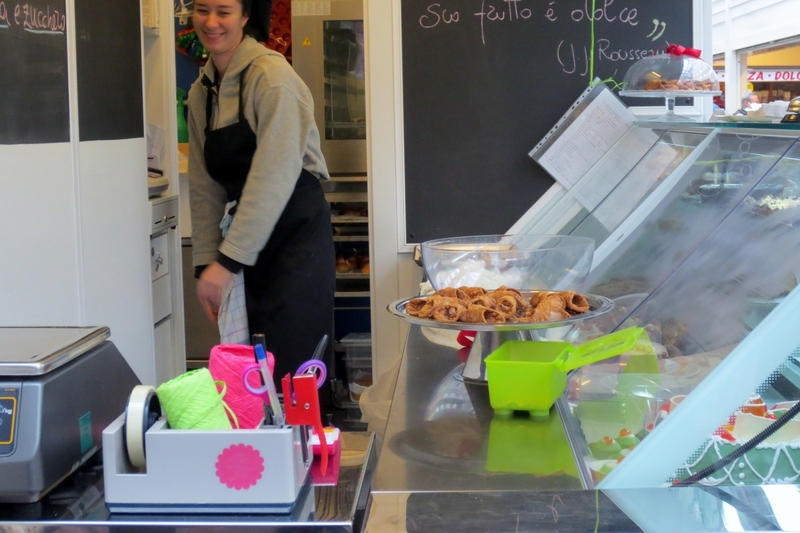 Also, real gelato is made in the tubs that they serve it in. It fits nicely in the pan. If you see that it is heaping, then it's most likely a mix where they have blended in a lot of air and then dumped it into the pan! Giolitti's serves fresh gelato with only natural ingredients, not the commercial powdered ones, so the colors are not as bright and vivid as you would find in the flashier, touristy gelato stores. One of the things Sarah Rose told us is that we might not necessarily get what we order. The gentleman here is justifiably proud of his product and is rather particular - he will not let you order two (or more) flavors that he thinks will not complement each other. Lucky for me, he approved of my choice. 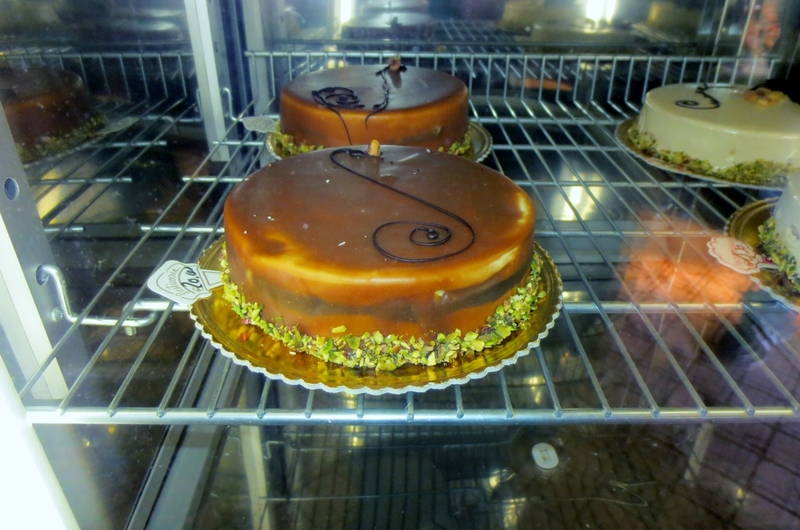 I chose Cioccolato and Zabaione (which is chocolate and eggnog). YUM, YUM! Seriously, I must have said those words over and over again during this tour! And you can bet that now that Ron and I know the difference between fake and real gelato, we will never take the fake again! That is the end of this food tour and I must say we had an absolutely AMAZING day! If you are coming to Rome and want something "special" to do, take this tour! And make sure you ask for Sarah Rose to be your guide. She is charming and delightful! She made us feel like we were her very best friends just getting to Rome and she was showing us HER favorite out-of-the-way places that only the locals know about. Will we do it again? Oh yes!!! We are hoping to book the tour with her again in April as we will be bringing our moms on a cruise with us and we think this is a "must" for them to experience! We are going to have a lot of fun together mom!